The major US-based cryptocurrency exchange – Coinbase – rolled out Visa debit card valid in the UK jurisdiction, so the UK-based clietns will be able to spend cryptocurrencies for payments of goods and services like fiats. According to the press release, the new card is designed to enable UK-based users to pay for products and services both online and physically. Moreover, users can also withdraw cash via ATMs. 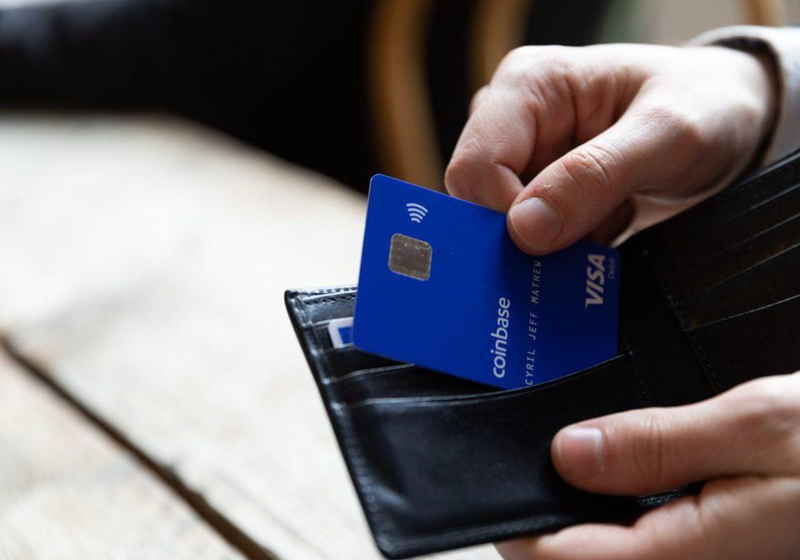 "We’re excited to announce the launch of Coinbase Card, a Visa debit card that lets customers in the UK spend crypto as effortlessly as the money in their bank," wrote the company in the press release. All holders of the cards will be able to link Coinbase Card to their accounts. As a result, they will get an opportunity to make in-store and online payments using bitcoin, Ethereum or other supported cryptocurrencies. At the same time, Coinbase Casd will convert digital assets in fiats immediately. Along with the credit card, Coinbase has alos developed the Coinbase Card app which is designed to facilitate users' spendings. In particular, customers can choose a crypto wallet from which they want to spend funds. Moreover, the application also provides such features as "instant receipts, trnsaction summaries, spending categories". The application is available on iOS and Android. Notably, Coinbad Card supports all cryptocurrencies avaiable at the Coinbase platform. As a part of the official launch, the company cancels issuance fee (GBP 4.95) for the first 1,000 people that file application for the card. "This is the first debit card to link directly with a major cryptocurrency exchange in the UK and EU, allowing users to spend their crypto balances direct from their Coinbase account," stressed the company. The daily limits are GBP 10,000 for spending and GBP 500 for cash withdrawals. At the same time, transactions are subject to a 2.49% fee; 1% fee is set for cash withdrawals over GBP 200 per month. Speaking about future plans, the company management said that they are considering further expansion to the EU soon. The authorities of Seoul managed to detect and arrest 12 individuals suspected in running Ponzi scheme which brought them more than JPY 21.2 million ($18.7 million). As the spokesperson of the Seoul Special Police Department said, the police applied to innovative technologies during the case – an investigation system based on artificial intelligence.